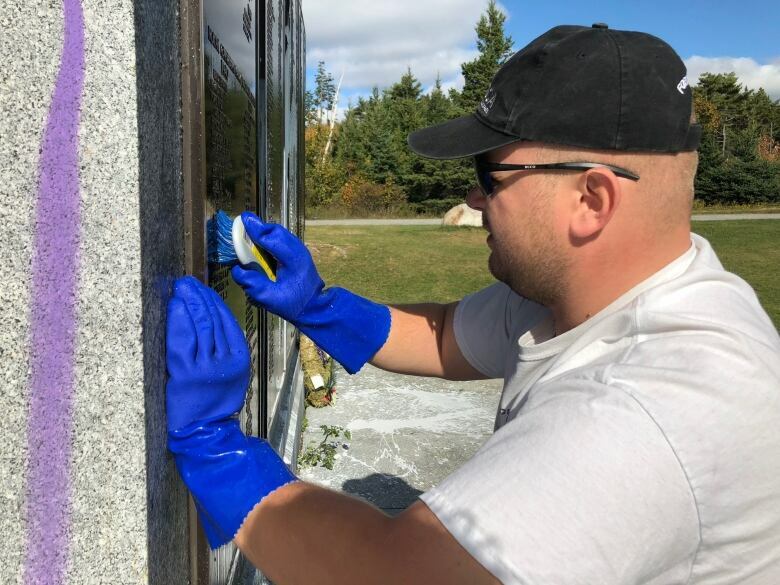 As dozens of people expressed shock at a defaced war memorial in Halifax, Ben Hovinga quietly filled a bucket with salt water and started scrubbing. Overnight Sunday, someone went to Point Pleasant Park and dumped buckets of white paint across Halifax Memorial. The 12-metre monument includes 3,267 names of those who died in the First and Second World Wars. 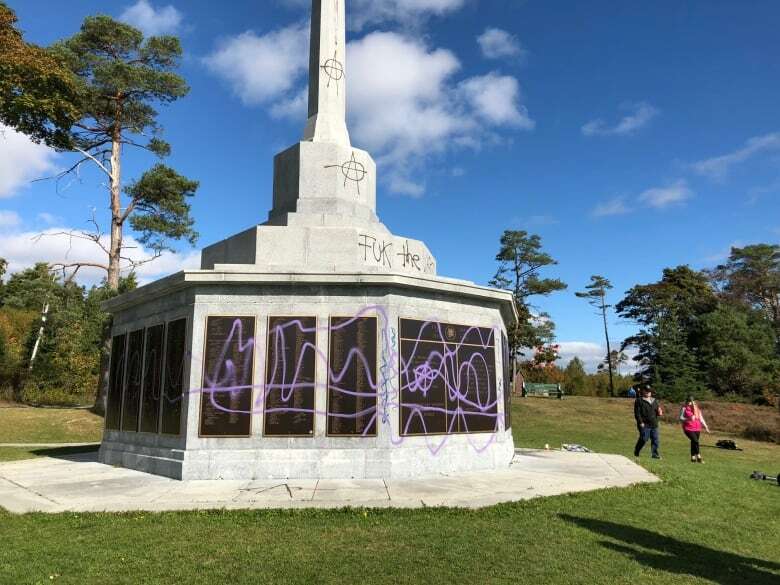 The vandals also climbed on top of the granite structure and used purple spray paint to write a vulgar message at the base of the cross. Hovinga said he couldn't stay home after seeing a photo of the graffiti online. 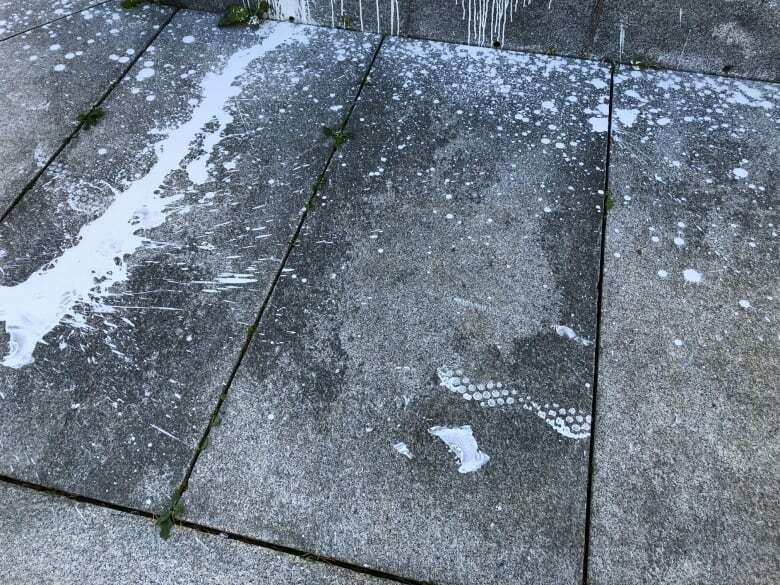 "I was extremely saddened to see this," he said as he scrubbed white paint off a panel. "I understand the sacrifices that these people on this wall have done. I just can't see their name covered in paint. I came down here to remove it." Karen Foster, who visits the park daily, walked by as Hovinga got to work. 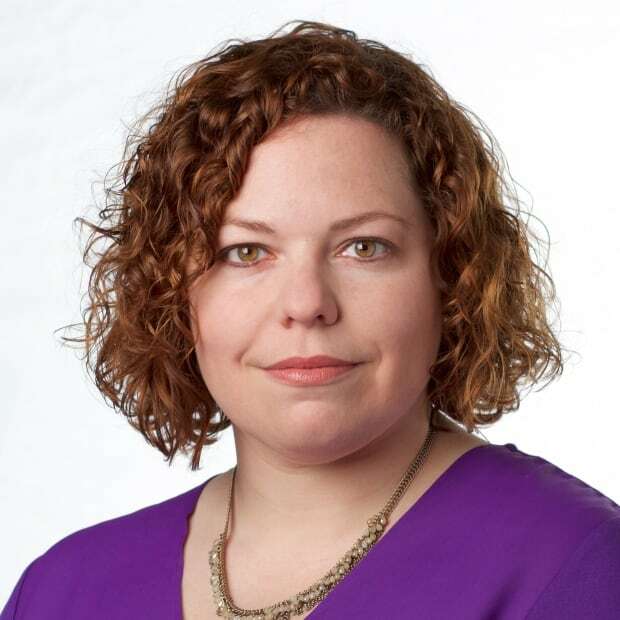 "For someone to come and do this, it's disgraceful," she said. To make matters worse, a group of German tourists arrived to photograph the monument. "What message is this sending?" she asked. Her disgust was eased by Hovinga's actions. "It's nice to see somebody who has respect for our veterans." It didn't take long for other veterans to arrive. Sean de L'Eveille, who is retired from the navy, was emotional when he saw the paint. "I think it's deplorable," he said. "Why would you do something like this? What is going through your mind?" On the ground around the monument, clear footprints were left in the white paint — a possible clue as police try to find the person or people responsible. "If they catch them, I would make them come to one of the Battle of the Atlantic parades," said de L'Eveille, who thinks anyone who would do such a thing needs a lesson in respect. 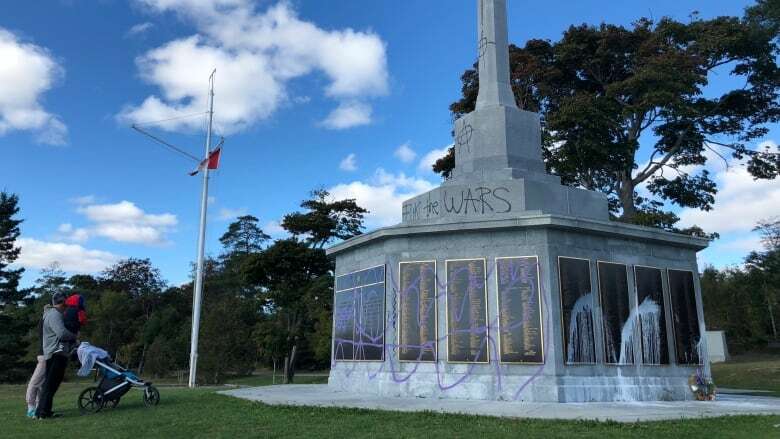 Halifax police said their investigation is ongoing and city staff have also been called to help remove the graffiti.